Instead of short pages with hard breaks inserted, we show your page at full size. Table of Contents out of date? 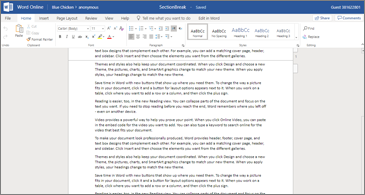 You can fix it in Word Online. 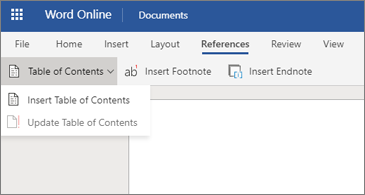 Just update the headings in your document and pick an option from References > Table of Contents. Voila!